The trouble with coconuts is they are the worst type of nuts in the whole wide world. 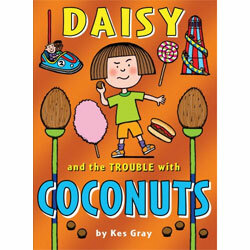 If you ask me, coconuts shouldn't be allowed in a funfair. If you double ask me, they shouldn't even be allowed to grow. Coconuts are too big. Coconuts are too hairy. Plus, if you try to win one, they just get you into trouble. Which isn't my fault!